Here’s a low-carb solution to your potato skins craving. Scoop out the center of the zucchini and create a boat load it up with your favorite toppings like cheese, bacon and green onions! This recipe is something I really love. You can make a big batch of these ahead of time and freeze them before baking. So whenever you have a craving just pop these in the oven and you will have crunchy healthy tots! Are you craving chips and guacamole? Here is the best substitute. Make these Keto friendly chips with your fresh salsa and guacamole. After starting this diet you’ll miss something crunchy so here is an easy recipe for you! So I must admit I have always had a fried pickle obsession, so when I saw this Keto friendly snack I got super pumped! These are a must healthy alternative compared to fried but they are still so darn tasty! 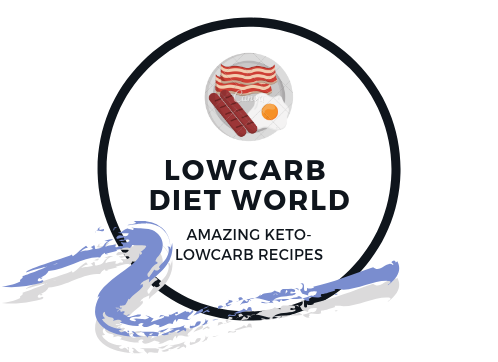 These Keto low carb blueberry muffins really hit the spot and tasted amazing! There are almost no carbs and they were fluffy and tasted like traditional blueberry muffins. If you’re not a blueberry person, these would also be great with raspberries or strawberries and my secret is adding some fresh lemon zest! I love cheese/meat plates and wine so this is an obvious choice when making the switch over to the Keto diet. It’s fresh and really easy to make. If the cheeses section you can find the little balls of mozzarella, if you can’t find them and then use a block of mozzarella cheese by cutting them up into little squares. This snack is highly addictive (I’m warning you now). These chocolate almond clusters are insanely good and something that anyone craving salty and sweet will love. It takes under 20 minutes from start to finish so it can’t get much easier than that to enjoy this snack! Meat chips? Sign Me Up! Bake pieces of salami for a super easy Keto snack. I love these salami chips it’s a genius idea and something you will want to make today! This recipe is not only a great snack but an awesome breakfast as well! Avocado is a perfect ingredient for the Keto diet and I like that you bake the egg inside the avocado like an edible bowl, super cool! Here is a snack that is full of protein and super tasty. If you are craving buffalo wings and something different you can make a batch of this to last all week and put this buffalo chicken salad on crackers, salads and zucchini boats!